Woah, woah, woah. Hold your horses. I know it’s a Pavlovian response these days to start cracking your knuckles and hurriedly mashing out a few expletive-filled sentences on your keyboard whenever ‘PS4’ and ‘cross-play’ inevitably intertwine but the unfortunate news that Monster Hunter World cross-play isn’t coming to both the PS4 version and the upcoming PC launch of the game actually comes from Capcom’s side, not Sony’s. 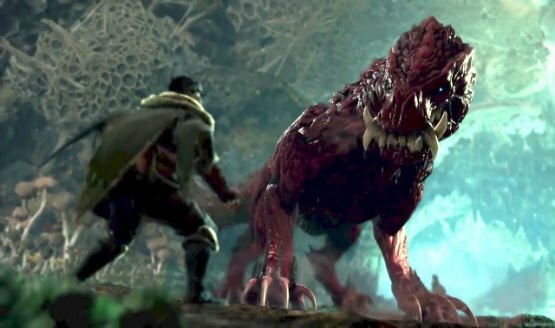 Speaking to PC Gamer, the game’s producer Ryozo Tsujimoto opened up about the prospect of Monster Hunter World cross-play appearing at launch on PC. That may not say an awful lot when it comes to the devs working explicitly towards an endgame of Monster Hunter World cross-play, but it’s clear that the thought has crossed their minds. For now, it’s going to be an impossibility due to the PS4 and PC versions essentially including a whole host of minor differences; an identical version of the title across platforms would be needing to achieve cross-play. So, don’t blame Sony. Yet. Besides, there’s this awesome Final Fantasy crossover to look forward to.